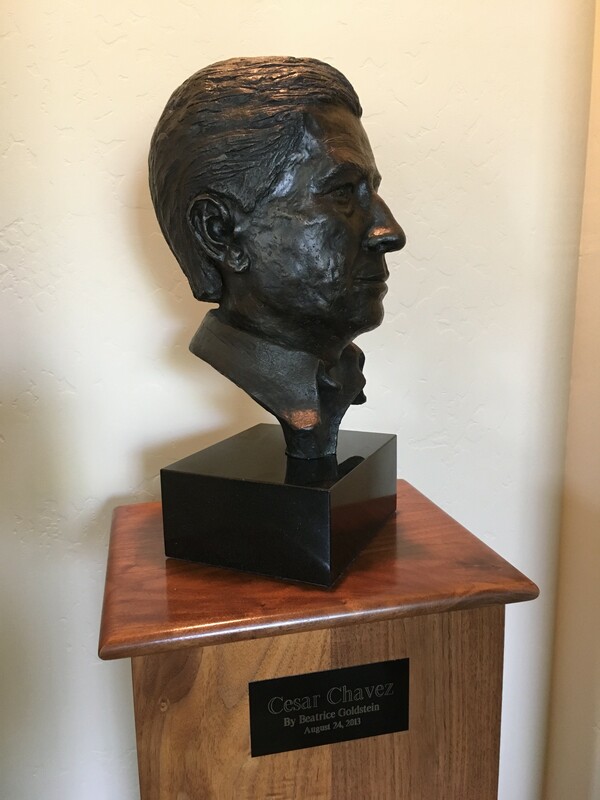 We are sad to report that Beatrice Goldstein, an accomplished sculptor whose life size bronze head of Cesar Chavez graces the entry hall of the Villa La Paz Education and Conference Center at Keene, passed away peacefully at the age of 93 Sunday in Sacramento. She began pursuing her art at age 55, producing countless pieces in bronze, including the Chavez head she donated to the farm worker movement. Her son, Marc Grossman, Cesar’s longtime spokesman and speechwriter, said he first learned about the grape boycott at age 16 from his mother and stepfather, Dr. Nathan Goldstein. Born in Philadelphia to immigrants from Czarist Russia, Bea earned a B.A. degree in music from UCLA in 1945, was a career teacher in the L.A. public schools and managed her husband’s Brentwood dental practice, which included many artists and Hollywood actors and producers. One pro-bono patient was Cesar Chavez. Dr. Goldstein replaced his gold tooth with a crown perfectly matching his other teeth in 1974. Bea would host Cesar and his troupe in her home when they traveled through L.A. during the 1970s, and was always the biggest supporter of her son’s work with the movement. 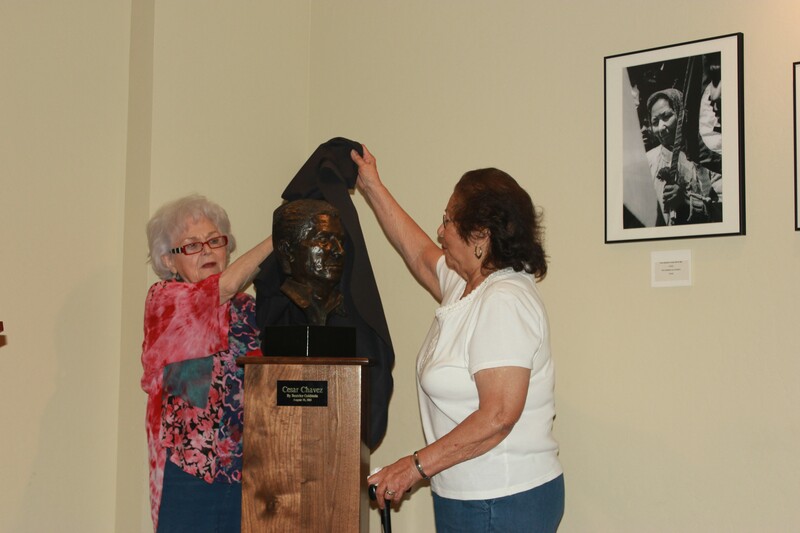 Photo of Bea Goldstein helping Helen Chavez unveil Bea’s life size sculpture of Cesar Chavez’s head on Aug. 24, 2013 in Villa La Paz at the National Chavez Center in Keene. The work is seen in the entry hall of the 17,000-square foot education and conference facility.